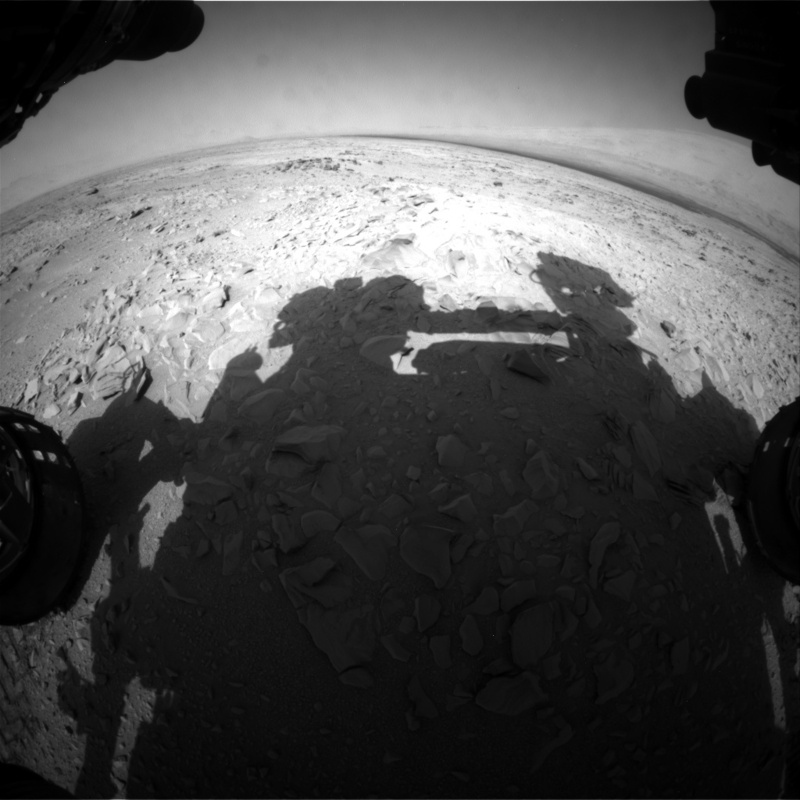 Now they’re saying that a rover photo taken in 2012 (see below) shows the shadow of a human or human-like alien “messing with” the rover. 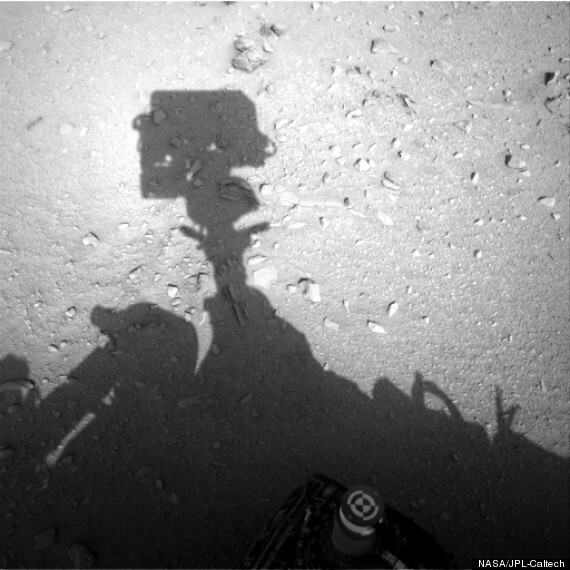 Waring goes on to wonder if the image indicates that the rover isn’t on Mars at all but right here on Earth–or that humanoid aliens live on the Red Planet. Of course, there’s always the (more likely) possibility that the shadow only looks like that of a human form. It makes sense that our brains would interpret the image this way. Humans are wired to spot patterns and even faces in images–it’s a phenomenon called pareidolia. Here’s the same shadow from a slightly different angle taken about 28 seconds later. Yes, it still looks vaguely like a person. But if it is, “he or she” managed to keep perfectly still, because the figure hasn’t budged even slightly. Our verdict? It’s just the rover’s own shadow.